Trillions of ghost particles are passing through us every second. The Standard Model – the theory that describes the behavior of fundamental particles at every energy scale scientists have been able to measure – is accurate, but leaves “gaping holes.” Scientists continue to question the nature of dark matter, and how a universe filled with matter, rather than anti-matter, arose from the Big Bang. Scientists have been on the lookout for clues that will answer these questions, and some turn towards particles called neutrinos. Dubbed ‘ghost particles,’ neutrinos are elementary particles that don’t have electric charge. Trillions of these particles pass through us every second. While we know they exist, we don’t know what role neutrinos play in the universe. Further, neutrinos are extremely hard to measure because they’re also at least a million times lighter than any other particle known to science. Researchers from Michigan State University (MSU) succeeded in finding new measurements of these strange particles, captured by the IceCube Neutrino Observatory at the South Pole. These findings were presented at the American Physical Society Meeting in Washington. 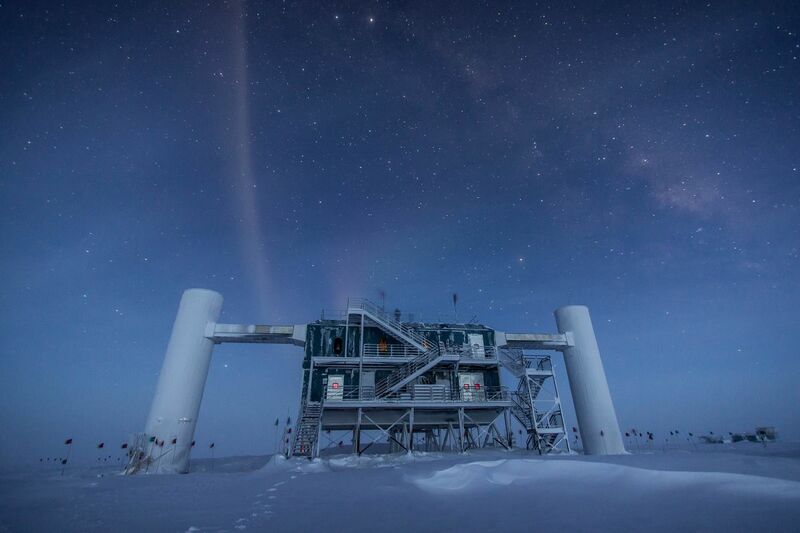 The IceCube Observatory at the South Pole measures neutrinos produced by cosmic rays that hit the Earth’s atmosphere, which makes the Antarctic ice a unique particle detector. The new measurements could answer fundamental questions about the properties of neutrinos and could help fill gaps in the Standard Model of Particle Physics. While their measurements match results from other experiments using neutrinos with lower energies, it remains debatable whether this flavor mixture is exactly balanced. As such, IceCube physicists will continue to collect data and refine their analysis.